I bought some great farm eggs with yolks that were almost orange they were so dark. I knew they would make the most amazing lemon curd, so I whipped up a bottle and as you can see it turned out to be the most beautiful color. Lemon curd doesn’t last 5 minutes in my house, because I eat it by the spoonful. I know I shouldn’t , but its one thing I cant resist. If there is no lemon curd in my fridge, then you know I am either sick or away. 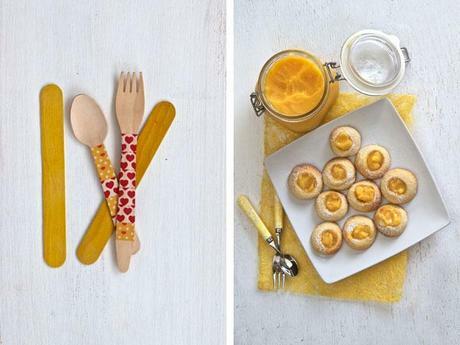 How many ways can you use lemon curd? 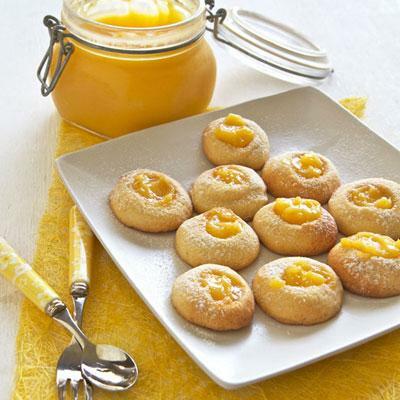 I am sure I can find quite a few, but today I made these lemon drop cookies, which are little balls of lemon flavored shortbread filled with lemon curd. There are many health benefits of lemons. The two biggest are lemons’ strong antibacterial, antiviral, and immune-boosting powers and their use as a weight loss aid, due to lemon juice being a digestive aid, and liver cleanser. Why buy lemon curd, when you can make it in 20 minutes. I always have ice cubes of frozen lemon juice (and zest) so that I am never short of it. 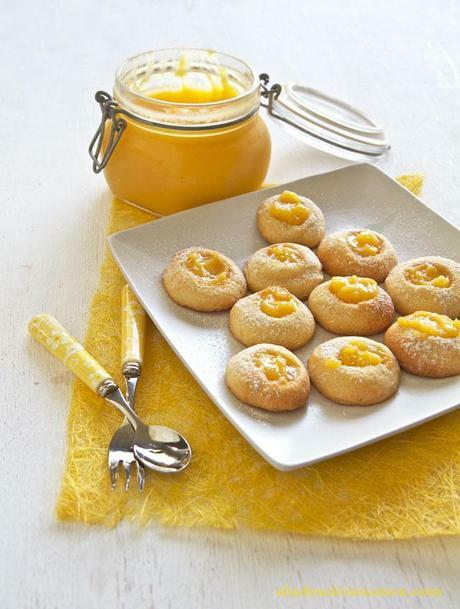 For my easy lemon curd recipe go to Lemon Curd. Line a baking sheet with parchment . Beat butter and sugar in a large bowl until soft and combined. Beat in egg yolks, lemon zest, lemon juice, and salt. With mixer on low, beat in flour just until clumps form. With your hands knead into a soft dough. Shape heaped teaspoons of dough into 1-inch balls. Place the balls on your oven tray with space between each one. Dip your finger into flour and make a deep indentation in the middle of each ball. Bake cookies until firm and lightly golden on bottom, about 15 minutes. 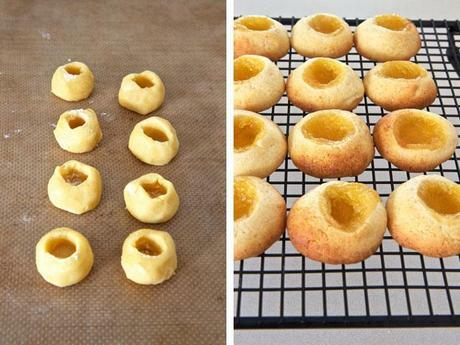 Remove from oven and immediately fill indentations with curd. Return to oven and bake for a further 2 minutes. Allow to cool and sprinkle with icing sugar and store.